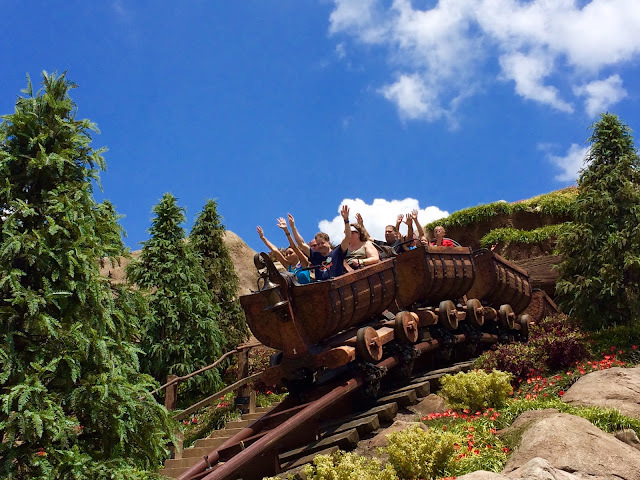 Today, we say happy 1st birthday to the Seven Dwarfs Mine Train. 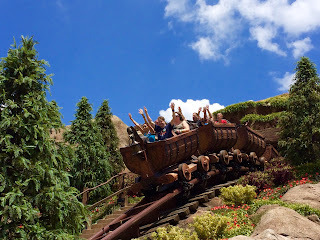 This attraction officially opened on May 28, 2014, although guests were riding it a week earlier, during "soft" openings. The coaster remains the most popular ride in the Magic Kingdom, based on FastPass availability. The standby wait times still average over an hour. I took this shot on opening day, last year.